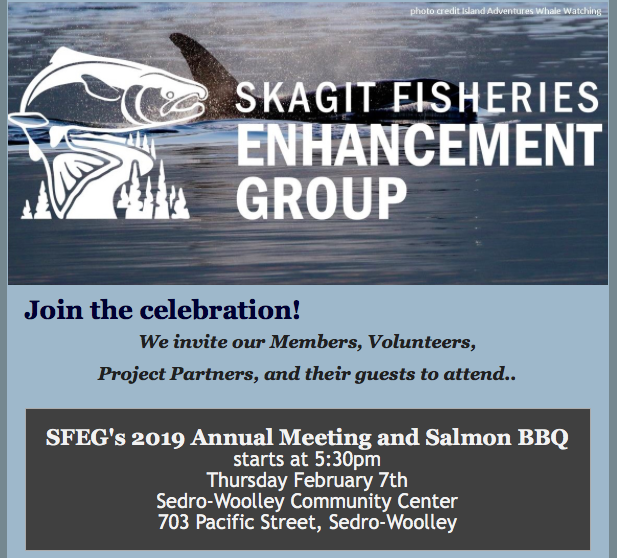 SFEG Members, volunteers, project partners, and their guests are invited to attend our 2019 Annual Meeting and Salmon dinner. A $20 donation buys a ticket to this night of Skagit celebration and reflection! Follow this link to learn more and buy your tickets!